The World Can Be a Scary Place. Anxiety and Depression in teens are on the rise. Understanding and caring for our children's mental health while they are young can help them realize their potential and reduce the risk of developing mental health problems. Many children are significantly impacted not only by world events and catastrophes but also by daily occurrences and life circumstances. The start of school, the news on television, the influx of social media, the death of a friend or grandparent, natural disasters, contentious politics, or even just a bad day at school can affect our children more than we realize. In these unsettling times, it is more important than ever to remember that caring for a child's mental health is just as important as caring for his or her physical health. 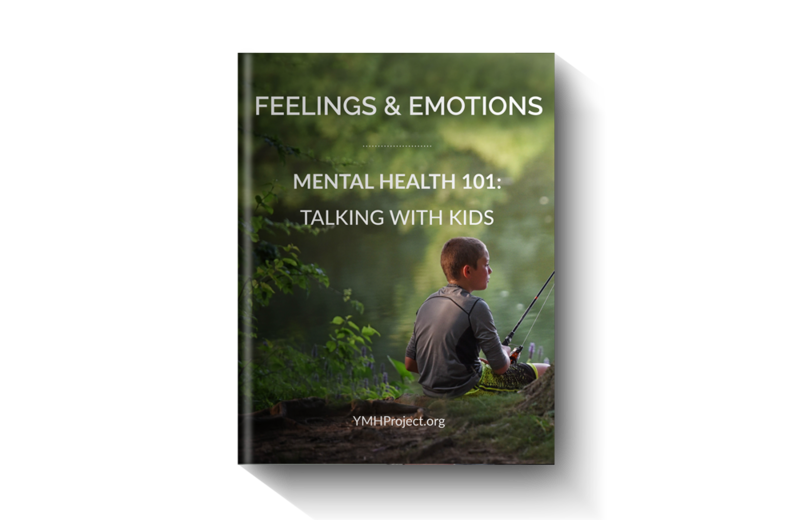 This guide will equip you with a better understanding of how to talk to your children about difficult topics and engage with them in a way that promotes positive mental health. At The Youth Mental Health Project, we are committed to safeguarding your privacy. We collect your information when you reach out to us. We only use, share, and keep information about you for our purposes of communicating back with you. This may be through email, a regular newsletter or special notice. This online privacy statement applies to The Youth Mental Health Project websites, online applications that run on smart phones, tablets, mobile devices ('apps'), and other online services that we offer which link to a Network For Good Account database. Since we may change this online privacy statement, we recommend that you check the current version available from time to time. If we make changes to this statement, we will update the 'Effective Date' at the top of this page.